CowFish just opened up this week, replacing Indian Cove Restaurant. It is owned by the same owners as Rumba, which is right down the road. It is somewhat hidden from the main road so we passed it the first time, only to realize there was a very small sign leading us through a parking lot, down a narrow road and finally to the restaurant. It sits right on the water with excellent views in all directions. They are still constructing the outdoor bar and have newly done landscaping so the place is still not 100% but pretty close to it. You can either walk directly upstairs to the bar or stay on the 1st level for the main dining room. 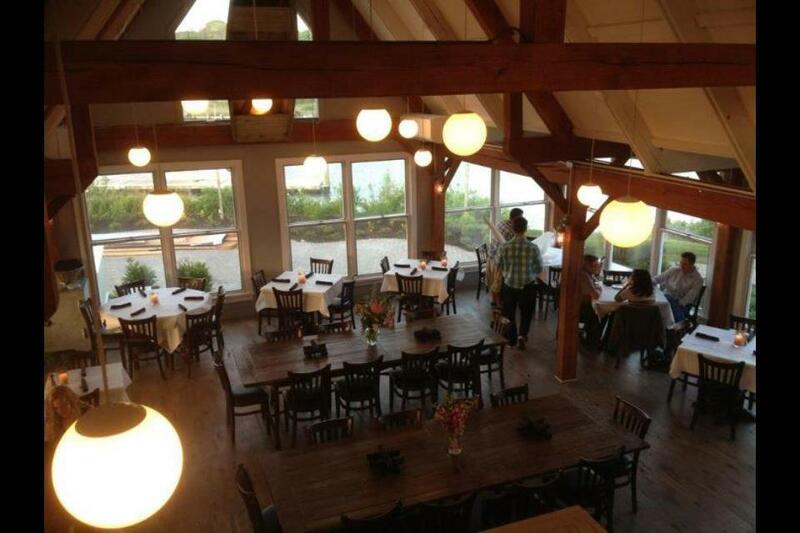 There is also seating upstairs, where you have the option to sit outside. The decor is clean and fresh. The sphere lighting throughout is a nice modern touch. We were seated quickly and there was an abundance of staff ready for the opening weekend rush. A bit of overkill while we were there because there weren't many tables seated. I felt like I was being watched at all times because so many of the waitstaff just had nothing to do but wait for people to show up. We looked over the menu and were surprised to find more "land" options than "sea"--a bit unexpected for a waterfront restaurant. Looking over the specialty drinks we were not intrigued. Everything seemed a little too far from the norm for us so we decided to pass. We ordered the spinach and artichoke dip and it came out before we even ordered our entrees, which was fine. It was more artichoke than spinach and some of the larger pieces of artichoke tasted pickled. It was okay, but I honestly prefer cheap chain restaurant spinach artichoke dip to this one. On the plus side, the chips were freshly made, but lacked salt. Still good though! We ordered the center cut filet and prime rib sandwich (french dip) for our entrees. The sandwich came with a side of coleslaw which I loved. It had a bite to it, either from mustard or horseradish or maybe both. The bread was nice and crusty which paired wonderfully with the au jus. The filet was a bit undercooked--ordered medium but came out medium rare. We didn't send it back because you know when you do that it always comes out overcooked the next time! Rather eat it under than over and it still tasted great regardless. The roasted root veggies were substituted for a loaded baked potato which was gigantic! Probably the biggest potato I've ever seen and it was LOADED. We also ordered the death by chocolate dessert; dark chocolate cake with espresso icing and caramel drizzle with vanilla ice cream. It was a bit small for $9 but it tasted great. I did not really get the espresso at all though. Seemed more like chocolate icing, but the caramel was a nice touch and add vanilla ice cream to any warm chocolate cake and you can't go wrong. As for service, it was on the faster side! Our waiter took back the iced tea I ordered because I swear it tasted like peach (which I absolutely hate) and although he says it was supposed to be regular tea, he gladly took it back and replaced it with a coke. He also checked on us several times, as well as other staff, probably management. Not sure if it was only our waiter but I feel that the staff is not really well trained or perhaps just nervous because of the opening. You could just hear it in his voice. We were also asked AFTER we had finished dessert if we wanted coffee or tea. I probably would have ordered coffee if it had been offered with the dessert but instead we were done and asked for the check. When we did get the check, we noticed the dessert came up as $12 instead of $9. We mentioned it, the waiter double checked the menu and then ended up going back and forth with other staff and management trying to figure out why the computer was charging more for the dessert. They were probably frantic because I'm sure that we weren't the only people that would happen to. They ended up taking the dessert off the check entirely, probably because it was easier and quicker than to go into the computer and change the pricing of the dessert in the system before it happened to everyone! I couldn't imagine them having to comp every dessert because it came up with the incorrect price--that would be a nightmare! Either way, they did the right thing. 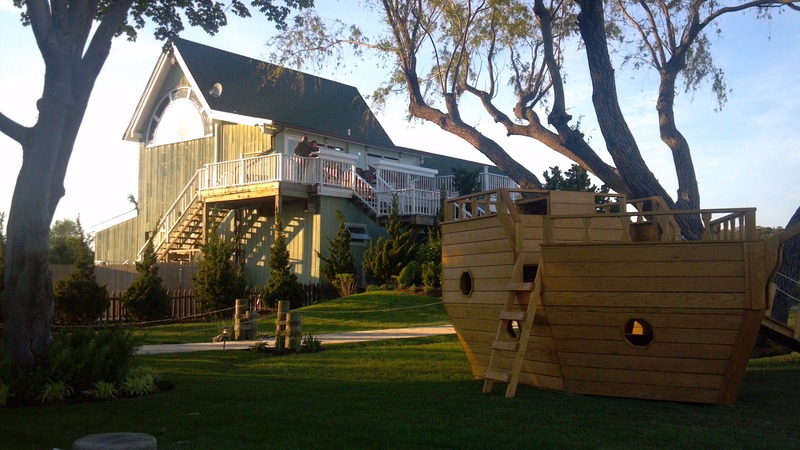 I almost forgot to mention that there is a small wooden ship jungle gym for the kids outside. Our toddler was a little too young for it but it is a nice touch to make the place feel more family friendly. CowFish is not necessarily a place I can see myself going back to anytime soon because it is so new--I would probably wait until they work out some of the kinks. 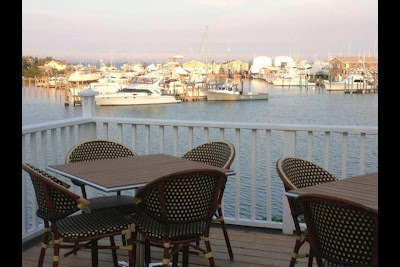 It is sort of a hike for me to get out to Hampton Bays but I could definitely see the upstairs (and soon to be outdoor) bars as a great place to hang out with friends. The place has huge potential and could really be a hit. I say, try it in a few weeks or so.